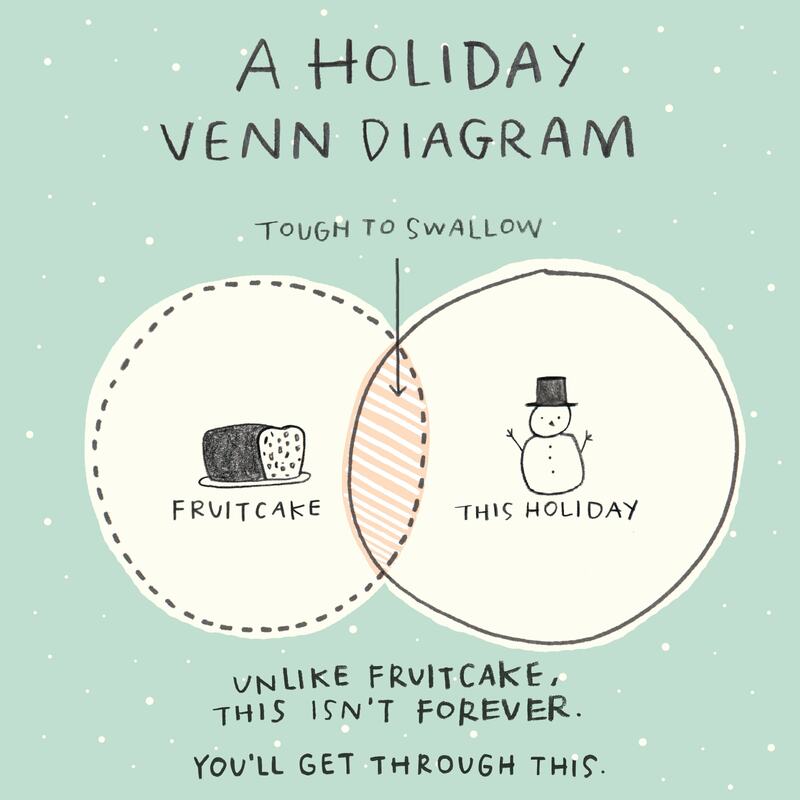 When someone you care about is going through a tough time, cheery holiday sentiments can fall short. 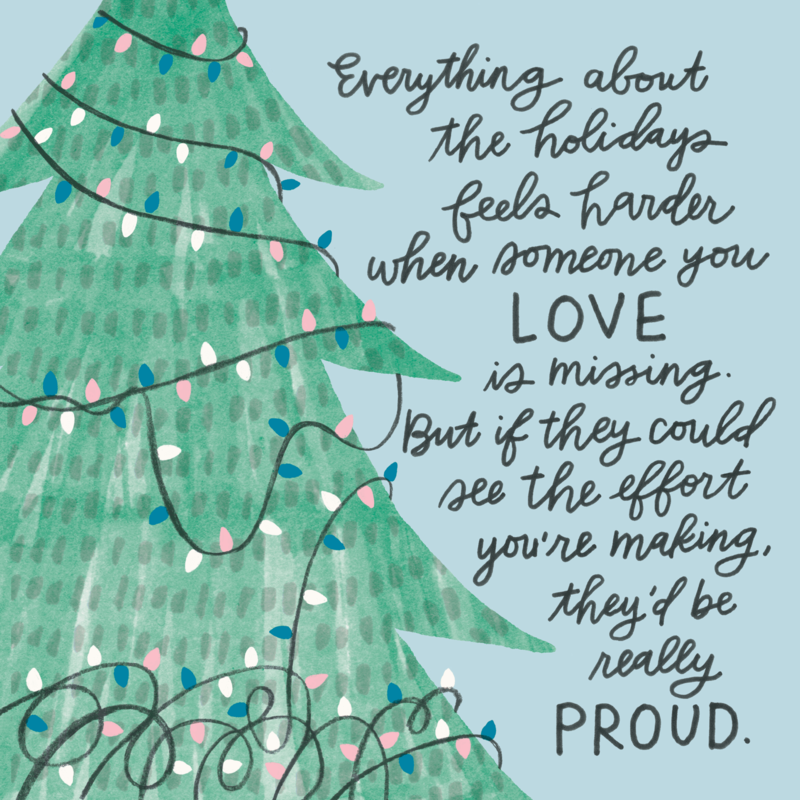 That’s why we teamed up with PAPYRUS to create this special line of cards to help you share love and support when the holidays don’t feel so happy. Simply click the card to email it to a loved one directly from this page. You’ll be able to add a personalized note before you send. You can send as many as you’d like. 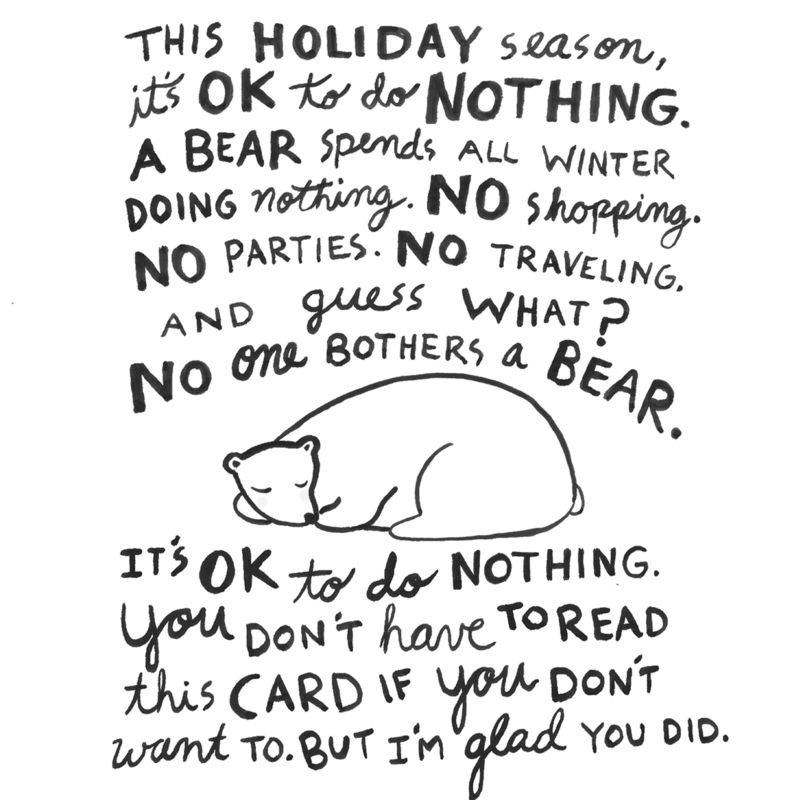 And if you want to buy a paper card to send in the mail, you can purchase them online here or at a PAPYRUS store near you. 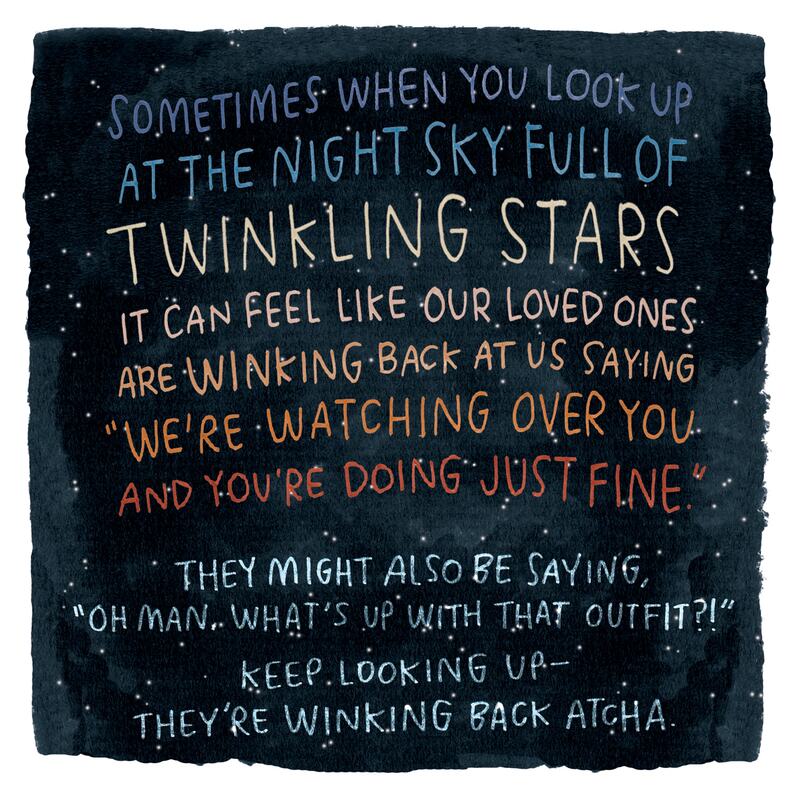 Your loved one will get an email with a link to view this card and your custom message. Please enter your recipient’s name. Please enter your recipient’s email address. Please provide a short message to your recipient. There has been an error sending your card. We have been notified and will look into it as soon as possible. Sent! They’ll receive your card soon. 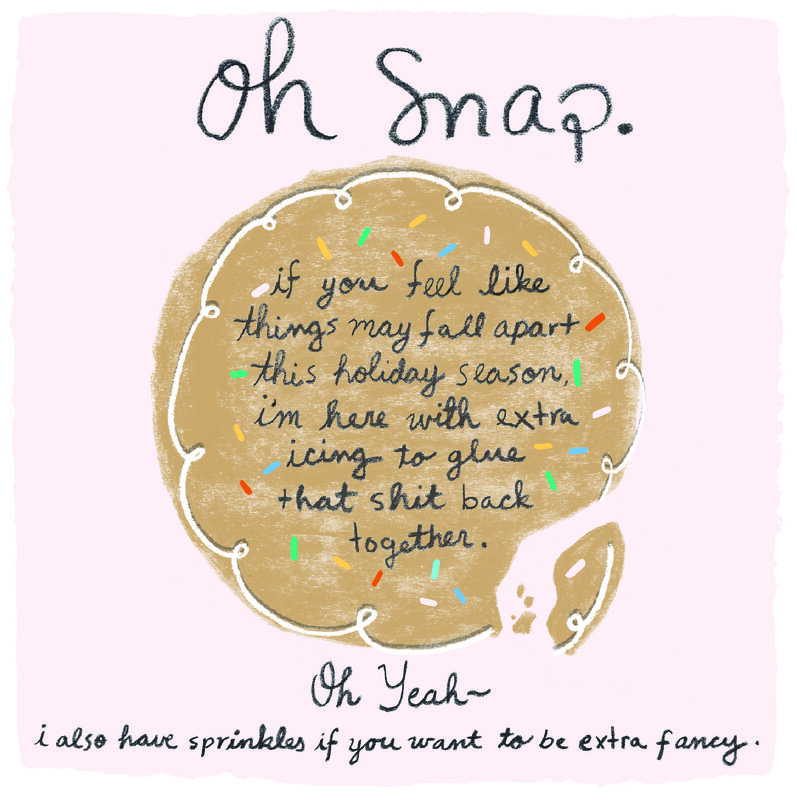 This collection of cards was created in partnership with PAPYRUS to help you show your friends and loved ones that you’re there for them—and that you understand how they’re really feeling this holiday season. PAPYRUS was founded in the family kitchen of Marcel and Margrit Schurman in 1950. Inspired by a love of fine art, they had a vision for products of uncompromising quality which provided the starting point from which genuine personal connections are made. 60 years and 450 stores later, PAPYRUS remains committed to this vision and offers an ever-expanding array of products—including greeting cards, custom invitations, stationery, gift wrap, and more. Visit www.papyrusonline.com for more information.